After I completed MBBS, I appeared for AIPG entrance exam and scored 4000 rank out of 82 k students who appeared and so selected MD seat in this college , I opted this college only because of good stipend and no bond status. For post graduation there is no need of internship as the complete 3 year period we are supposed to work in the hospital settings only. 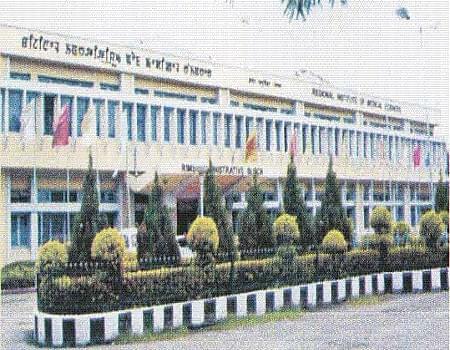 Regional institute of medical sciences ,imphal: This institution is most popular as RIMS in the field of medical science. It aims to establish to bring the knowledge of excellence in medical sciences and to contribute the well qualified graduates to the nation to fill the requirement of the doctors in India. This has been habituating the competitive environment for each and every individual in order to overcome the conflicts of competition that they are going to face in their career since from the establishment. This has been became one of the unbeatable colleges in the particular field by the four decades of experience and excellence. 2 kilo meters form Nagamapal Road, Imphal. Why to Join in Regional institute of medical sciences? Good faculty with rich figure: The institute having the very good number of faculty members of well qualified and well experienced from the reputed universities and institutions. They are contributing the knowledge through the innovative methodologies and making them as self potential through their practical oriented education. Associated hospital: This institute having the hospital with well furnished equipments with 1072 beds this has becoming the very good platform for the practical leaning and serving the local people without disturbing the quality of treatment. Results and reputation: Every year it is showing the capabilities of RIMS through the results and getting very good results from the students and attracting the aspirants towards them. And that too it is well reputed institution. It has already made its mark of excellence in imphal many years back.